As people find themselves traveling on a regular basis or working remote, mobile devices have become the norm. Unfortunately, not all companies are keeping up with mobile technology ...and this problem often relates to their intranet. Today, you need to be able to use your intranet on many platforms, like smartphones, tablets, and computers. When smartphones and tablets were first used in business, they were supplementary in nature. They were only used when people weren't near their laptops. As time progressed, these and other mobile devices have taken a different role. Retailers use tablets as cash registers, marketing firms use them for brainstorming, and restaurants use them for menu planning. Since mobile usage has increased over the years, developers now cater to the mobile audience. You can see this in responsive web design. Developers code websites so that any device used to access the site provides an optimal viewing experience. Responsive web design affects scrolling, text and image layout, and other design elements. This is an effective technique for your intranet software platform too. But responsive web design isn't the only approach to mobilize an intranet ... there are also mobile apps. Mobile is growing. And mobile apps are growing. People use many different devices, and many apps, to handle daily business processes. So instead of neglecting mobile technology, embrace it, and use a mobile intranet to combine your business processes. 7 benefits of a mobile intranet. 1. Timely action by employees. Today's business professionals often find themselves spending more time on the road than in the office. And it's hard for them to access the company intranet when they're not near a computer. With a mobile intranet, they can log-in from anywhere, which results in more timely action. 2. Improved intranet adoption rates. An intranet is only good if people are using it. Poor adoption rates can hinder success. Getting employees to use the intranet is always a challenge, so make it easier to access with mobile technology. This will help with higher adoption rates. Email can be useful, but it causes issues when it's the only option for digital communication. 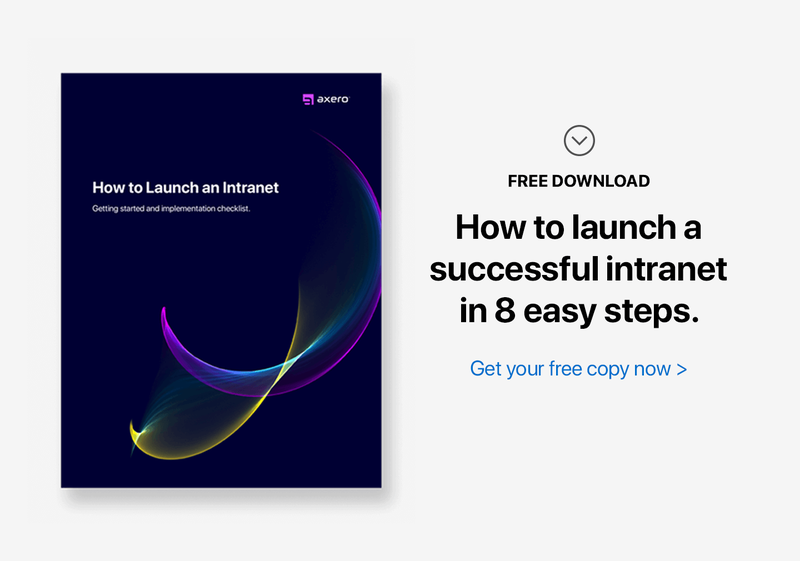 When you incorporate an intranet, the majority of internal communication should occur right there. And email becomes more of a notification center than anything else. A mobile intranet makes it easier for employees to communicate on the go. 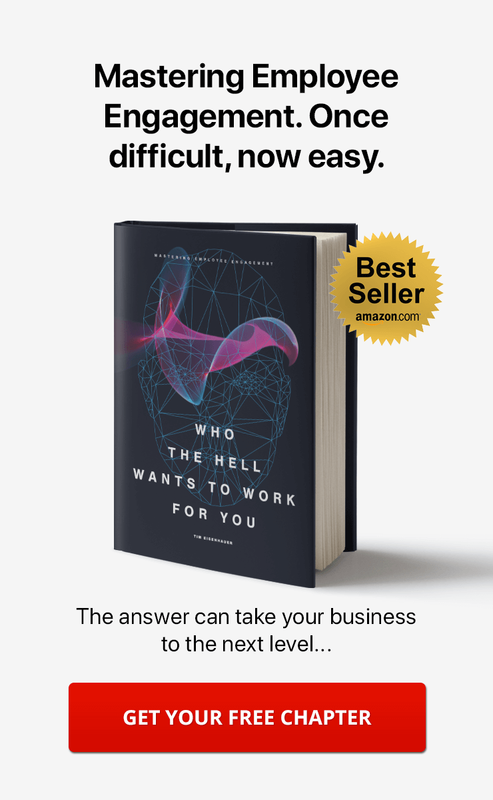 This will improve communication in your organization. You can use your intranet for customer service ... or an intranet help desk. This should be a major focal point, as your clients and customers define the path of your business. They can make or break your success. Because people always have their mobile devices handy, having a mobile intranet makes it easy for them to get the help they need ... whenever they need it. 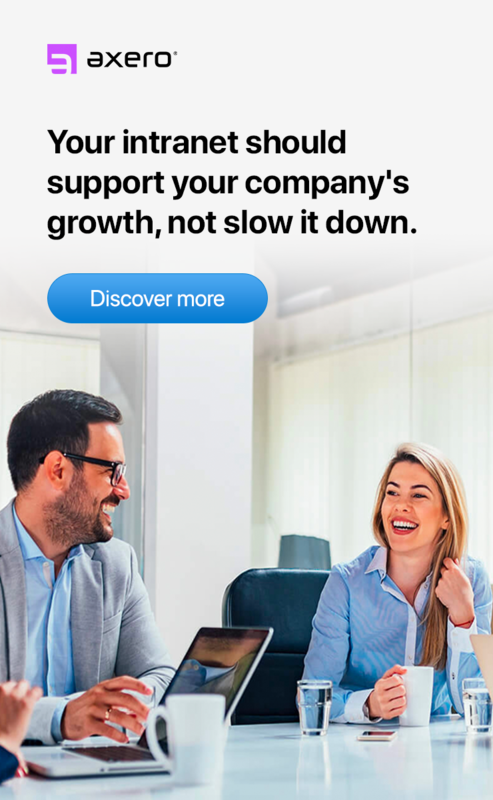 This improves brand loyalty and reputation for your company. Employees will find themselves being more productive with a mobile intranet. Many people experience downtime throughout the day. This is an obstable for those who are trying to get a lot of work done. If they can access the intranet their mobile device, productivity rates will improve. Sticking to a budget and saving money can be tricky, especially when scheduling face-to-face meetings. Billable hours go through the roof in this scenario ... but you can save money by handling meetings, discussions, and brainstorming sessions within your intranet. With digital workplace software, there doesn't have to be a set place and time like when everyone meets in person. Mobilize your intranet and things start looking better for your budget. 7. Bring your own device. The concept of “bring your own device” (BYOD) has injected itself into the professional landscape. Some think this trend will continue to grow and some think it may not. Either way, employees are becoming picky about how they do their work ... and with what device. With a mobile intranet, it doesn't matter what device they use. They can choose which ever method makes them most productive. Creating a plan: 10 tips to have the best mobile intranet. While the benefits of a mobile intranet are enticing, it's hard to know where to start. Mobilizing an intranet can be a process that requires many steps, and it can often get put on the backburner. Creating a plan will set you on the right path and help to bring a mobile intranet to fruition. 1. Work with the right social intranet platform. One-size-fits-all software is the worst option for creating a mobile intranet. The perfect mobile intranet for one company will look completely different for another company. You need software that can be tailored to the needs of your business. 2. Focus on simple usage. Keep in mind that employees will not need access to every feature of your intranet while they're on the go. More often than not, they'll need the most simplistic way to access the community, the information, and people. For instance, they'll need to check-in, communicate, and update the status of a project. Your desktop or laptop intranet may have many features, but a lot of them don't need to be in the mobile version. When determining the contents of your mobile intranet, think "mobile" and put yourself in your employees' shoes. For instance, if they use public transportation, they may want to look at news, blogs, wikis, and articles during their commute. The same goes if they're traveling for sales calls or conferences. It's the concept of mobile. Mobile people need a mobile intranet. So the above mentioned features should be the main parts of your mobile intranet. Getting employees to embrace a new mobile intranet can sometimes be a bit of a challenge. Because of this, you need to encourage intranet user adoption ... an intranet is only useful when embraced by many employees at once. You can increase adoption by positioning essential business apps within your intranet. This will give every employee a reason to log in from their smartphone or tablet while on the go. 5. Make search as easy as possible. Navigating a mobile intranet can be difficult when using out-of-date hardware. In this case, the developer can do little to streamline the experience any further. Adding a search feature to your mobile intranet can make all the difference in the world. It will be more accessible to your employees. Search should be front and center, just as it is on a laptop or desktop. Another great way to improve the success rate of your mobile intranet is to add gamification. Intranet gamification can motivate your staff to use the mobile intranet on a regular basis. You can offer paid time-off as a prize to anyone who logs on their mobile device once per day for a month. Get creative, and always take the interests of your staff into consideration. 7. Listen to employee feedback. Even if you've nailed the design of your mobile intranet, remember that your employees are the ones who matter. If they're having a hard with it, they need to feel comfortable providing feedback ... as these and other issues can get in the way of productivity. Offer a virtual comment box for your employees, or just check-in with everyone on a regular basis. This can be some of the most effective feedback to improve the quality of your mobile intranet. 8. Use images to break-up text. Text is often considered the most effective medium for conveying information on an intranet. But the problem with text is that too much of it can be overwhelming. Employees access the mobile intranet with small-screened devices, so the amount of text should be limited. Images are perfect for breaking up text, so make them a part of your mobile intranet. Once you launch your mobile intranet, you've got to keep a close eye on how things progress. Chances are, your staff will take to the transition quite well and with minimal issue ... but bugs and other problems can still come to fruition. When you pay attention to everything, progress becomes far easier to track and issues can be resolved. You may even want to task people with checking on your mobile intranet ... to make sure everything is working. This is an effective way to ensure that nothing goes overlooked. 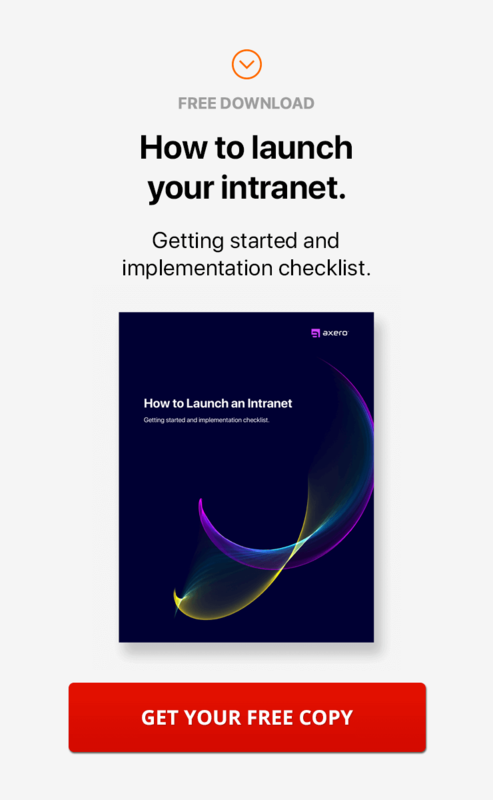 Patience is a virtue, and launching a mobile intranet is no exception to the rule. Many bosses set unreasonable expectations with their mobile intranet. If you do this, you may end up with employee disengagement issues. So just be patient. Things take time. Don't ask too much of your employees right off the bat. Moving forward, the importance a mobile intranet will only be more pertinent. Get started now, and you won't have to worry about falling behind.